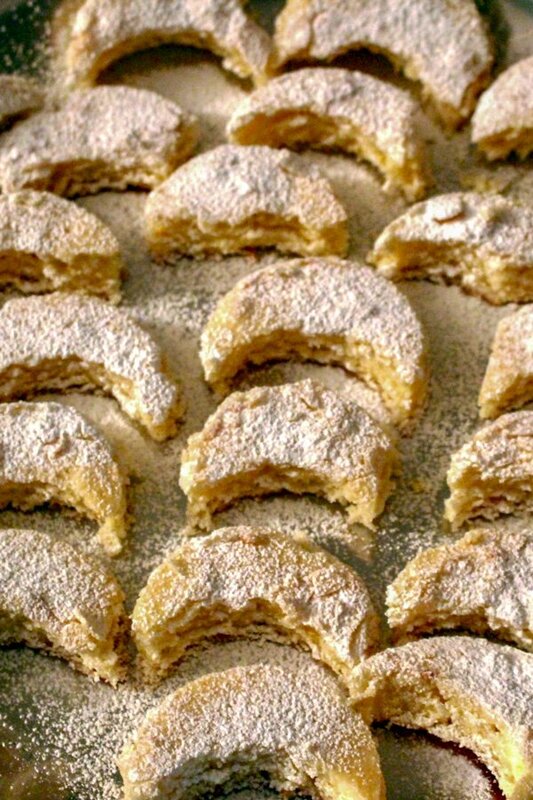 Kossuth Kifli or Half Moon Cookies are delicious cookies from the old days. 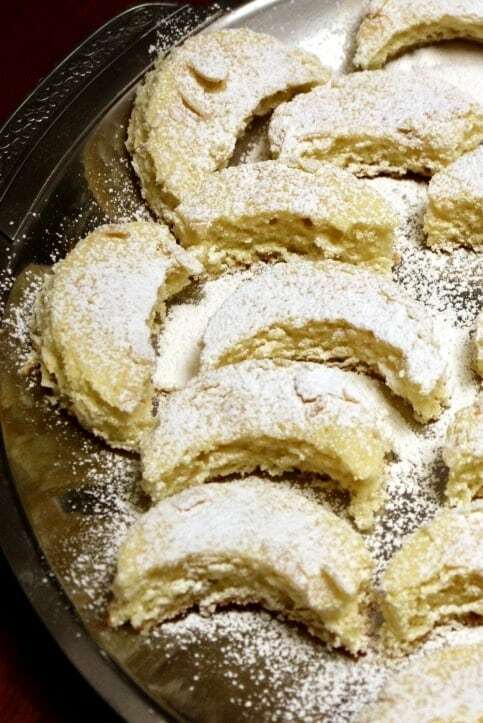 Very popular in Hungary and also Romania and other Eastern European countries, these cookies have a “cake” texture, are delicate and delicious and good to make them on a Sunday afternoon. 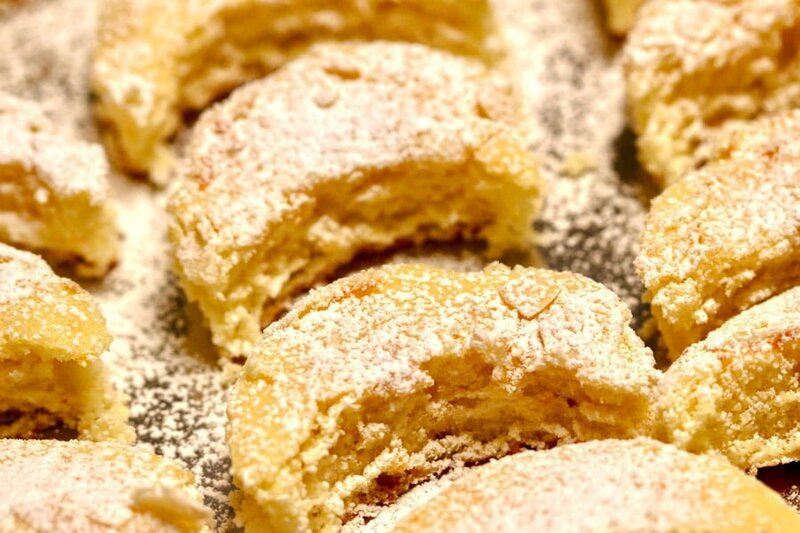 My grandma and also my mom used to make them quite often when I was a child, and they were considered some of the most popular cookies around. 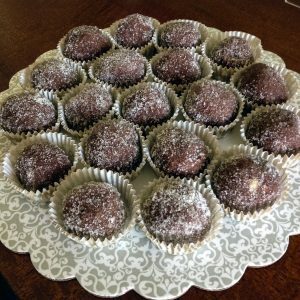 While doing research about the origins of these cookies, I found out that they are quite popular in many other Eastern European countries. 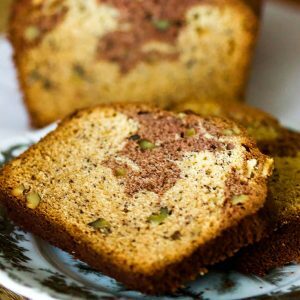 What is so cool about this recipe is that it has more of a “cakey” texture than a regular cookie and it can be flavored with whatever flavor you wish. I usually use lemon and that is the version I am sharing with you today. The batter is spread onto a prepared pan and then baked for 20 minutes until the edges are lightly golden. It almost looks like a sheet cake when you pull it out of the oven. 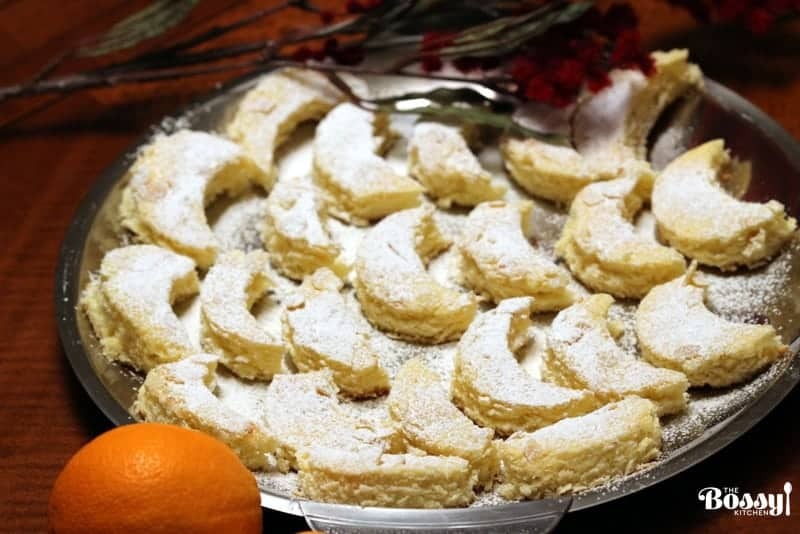 After it cools down, the “sheet cake” is cut with a small round biscuit cutter or simply with a glass, in a crescent shape, or half moon (in my family, a glass was used for this step). 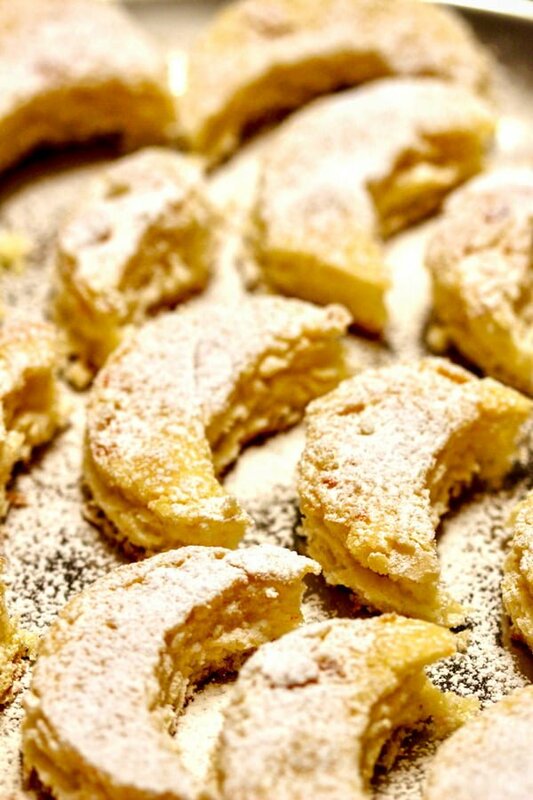 Then you dust the cookies with powdered sugar and you’re done! 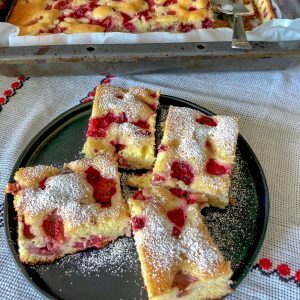 Very easy to make and delicious, this recipe brings back the simplicity of the old times when baked goods were made with basic ingredients and were easy to put together. Some of the variations of the recipe have chopped walnuts on top of the cookie to add more texture. My version, the one I had from my family, does not. I think that walnuts were not included because it was a relatively difficult ingredient to find in certain parts of the country between 1945 and 1990 when Romania was under communism. 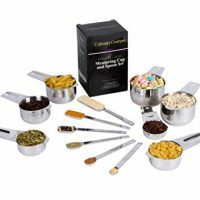 However, you can certainly add them for a more enhanced flavor. 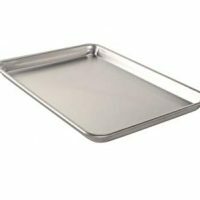 You will also need an 11 x 17-inch baking tray. 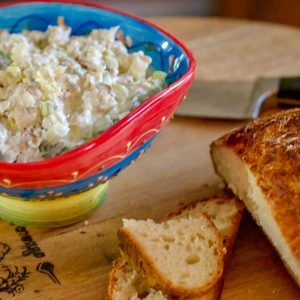 That being said, enjoy and feel free to drop a comment to let me know what you think about the recipe. 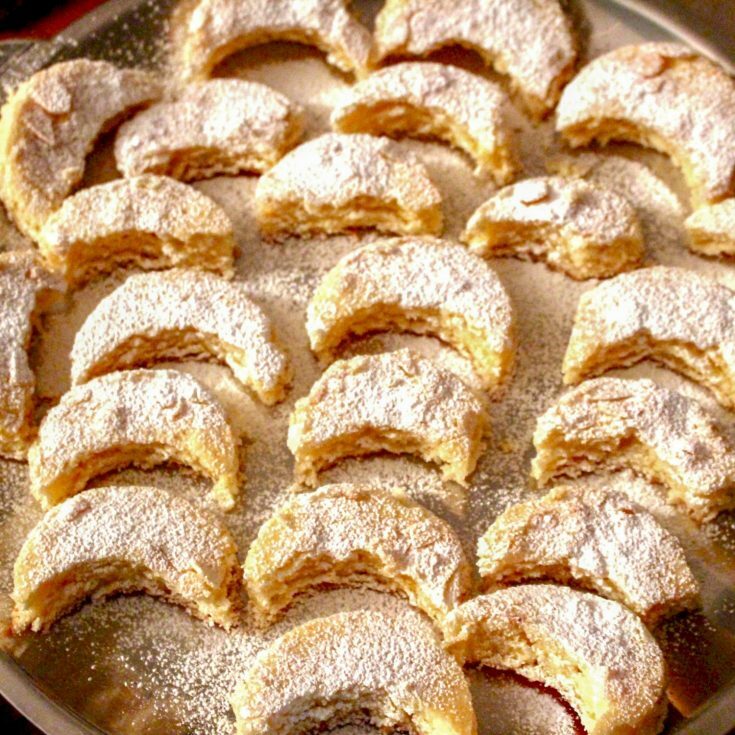 Kossuth Kifli or Half Moon Cookies, is an old recipe, very popular in Hungary and also Romania and other Eastern European countries. Butter and flour an 11inch x 17inch (27x43 cm) baking pan and set aside. In a large bowl, using an electric mixer beat the butter and sugar together until fluffy. Add the egg yolks, one at a time, and continue beating. 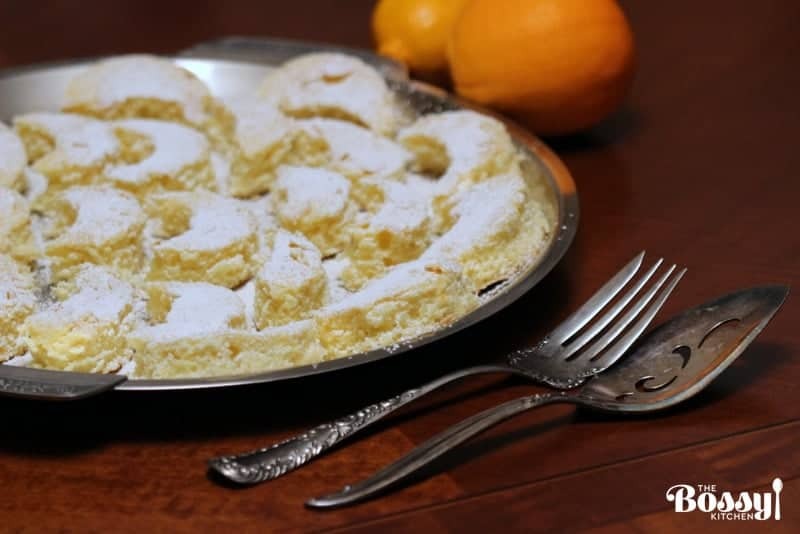 Incorporate the vanilla, lemon, orange zest, and the lemon juice to the batter and mix well. 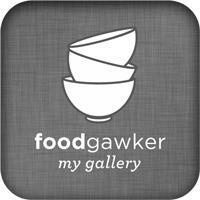 Separately, in a medium bowl, beat the egg whites until stiff. Optional: Evenly sprinkle walnuts on top of the batter. Bake at 350F for about 20 minutes until the edges are lightly golden brown. Remove from the oven and place the tray on a cooling rack before cutting the cookies. Finally, dust the cookies with powder sugar and serve. 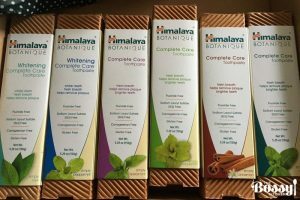 They keep well in a tightly covered container for up to 2 days.